There are ways to protect your email address from the frustration of unsolicited junk email, and sometimes you just need to start over. 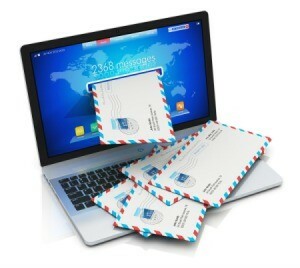 This guide is about preventing junk mail or email spam. To quickly get rid of a lot of the spam in your email box, just do this. As you check your new mail, go down the list and check the little box next to the spam mail as you go down the list. When done, hit 'delete' or 'spam' at the bottom of the page to remove all the spam emails at once. It only takes a minute of two, and you'd be surprised how much junk mail you get rid of this way. I received a forwarded email about the cost of prescription drugs last night from a relative. The subject was "Subject: Drug Costs" and went on to say "The women who signed below are Budget Analysts out of federal Washington, D.C. offices." There was a person mentioned in the bottom of the email from a government office so I emailed her and asked if she could verify what was in the email. She told me that it was just something that she had forwarded on a long time ago and now was considered the source of the information. She receives lots of emails a day about it. There is a good website for checking out those "Send to everyone you know." emails. It is called Break the Chain. Be sure and do your own research on chain letters before you pass them on. There are letters that have been circulating for years and years. You also can become the source of the information like this woman did when all you do is send it on. So many people leave the trail of email addresses where it has been sent before on their messages. It's best to be very cautious about forwarding. There is so much misinformation out there. I have more than 8 different email addresses, split between cable provider, hotmail and gmail. With all accounts combined, I still get less than one spam per day - combined! Use one account as your "junk" account. Use that one to sign up for stuff on the internet. Then instruct readers to change at to @ and dot to . and remove spaces. This thwarts the majority of spambots. Give your "private" email address only to persons you know, not to companies unless you have tested them on a separate email address for spam first. Have a second account that you use for certain registrations and newsletters AFTER testing them on your junk account. Test them for 2 months before allowing them to know your "private" email address. When your 'disposable' junk account starts accumulating spam, dump it for another. Question: Why Doesn't Junk Mail Get Sorted Into Junk Mail Folder? I was wanting to know why all my junk mail isn't going into my junk mail folder, it always goes into my inbox. That's a pain to separate all the time. Thanks for all the advice, I appreciate it all. Teresa, I don't know which your e-mail carrier you have, but Yahoo, MyWay and Hotmail allow you to mark junk e-mail as "spam" (or "junk" in Hotmail). I do that everytime spam gets into my "inbox" and pretty soon, you have a fairly junk free inbox. There are always one or 2 that slip through from time to time. On the other hand, you also need to check your junk folder to make sure "good" e-mail didn't slip in there....I've had that happen several times, too. Click on options, then Junk E Mail Protection, then Junk E Mail Filter. Click on the one that you think will be best. I have Exclusive and very rarely get junk mail in my inbox. Always check you junk mail before you delete it for e-mails that you want to receive in your inbox. Any e-mails in your junk mail that you want to receive in your inbox check the box beside it and click on not junk, then you can add it to your contacts or to a safe list and they will always go directly to your inbox. We are allowed 200 addresses on our safe list on Hotmail. If you don't have hotmail look for OPTIONS or something similar when you sign in or open your mail. I keep getting spam from one place that's trying to sell something. I use the filter in Yahoo mail, but that doesn't stop them from continuing to send me mail. In the "sender" field or the "subject" field they just add certain numbers or characters and the spam continues to get through. If I could figure out which of my mail accounts they are sending it to I could delete that account. Without opening the spam I can't tell which of my mail accounts it's using. Any help or suggestions would be appreciated as every day I get spam from them trying to sell me Viagra. Try setting up a separate yahoo, hotmail, gmail, etc. account & use only that when giving out your e-mail addy on the net. I did that several years ago & check the account only about 2-3 times a week OR a little more if I know I've recently used that account on a website. Am sure it seems to some like more than they care about doing however it's amazing how much garbage ends up in the alternate account. Major upside is there hasn't been a bit of spam in either my husband's main or my own main account for years. If it's on Yahoo, do you use the "report spam" feature? I get loads of those viagra emails but the spam filter usually catches them all. If that's not helping maybe you could try contacting Yahoo directly about the problem. I am not familiar with Yahoo mail but I can tell you of a couple features that may be available to you. Subject deletion - You can set up email to be automatically deleted if an email shows up with a particular subject, like viagra. I had an account that I used for website information. I never emailed anybody from that site so I made a rule that any email received with RE: in the subject would be deleted automatically. Since I never expected and email reply from anyone this eliminated many unwanted emails. Contacts only - this feature allows for emails to stay in the in box if the sender is part of the contact list. I think this was mentioned above. From Deletion - I have received junk mail from sources that list my own email address as the sender. I use this function to automatically delete any emails that supposedly come from my own email address. Unsubscribe - one factor that many people don't even look for is many of these emails have an option to "unsubscribe" from the email list. This is usually at the bottom of the email and sometimes it is part of a graphic so you have to load the entire email before you see it. 90% of the time this works. The other 10% usually puts you on a confirmed email list that is sold to other companies. Not a perfect solution but 9 out of 10 times it works. if you direct multiple accounts to send email to one specific account: in that specific account, set up folders for each of your accounts and set up a rule that directs one receipent to each folder. it will quickly become obvious which email address is receiving the spam and you can deal with it accordingly.